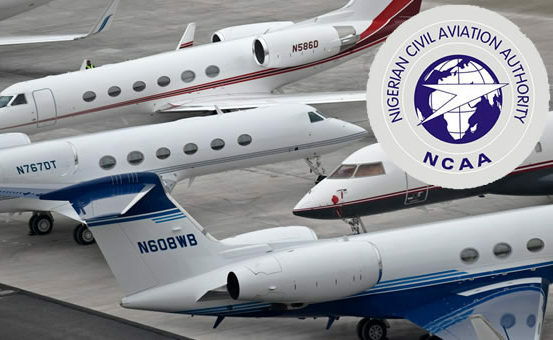 The Nigerian Civil Aviation Authority (NCAA) has sanctioned four erring airline operators for various degrees of violations of Nigeria’s civil aviation regulations. The sanctions include withdrawal of operating licence of one of the airlines and payment of fines by the others. NCAA in a statement issued yesterday by its spokesman, Sam Adurogboye, said the sanctions affected both schedules and charter operators. The regulatory authority explained that during a spot inspection carried out by NCAA Aviation Safety Inspectors (ASI) on those operators, a number of deficiencies were observed. The deficiencies include non-implementation of training programmes of maintenance personnel as required, irregu-larities concerning helicopter flight identification, deliberate violation of the regulations, performing maintenance programme without necessary approval and using outdated manual. NCAA said the above findings were in violation of Nigeria’s civil aviation regulations. “Consequently, the various operators were fined ranging from N1, 500, 000 to N2 million. While the operator involved in deliberate violation of the regulations had its Air Operator Certificate (AOC) suspended for 180 days. “However, the Authority has ensured that the affected personnel in question in the employment of one of the airlines are trained accordingly,” the statement added. NCAA, however, re-assured all stakeholders that it would continue to ensure that Standard Operating Procedures (SOPs) are strictly followed. The agency added that it expects strict compliance with the Nigeria Civil Aviation Regulations in the future and that violations would be viewed seriously.